SO-Shear is aimed at the evaluation of direct shear tests. It has a user-friendly interface and lots of smart capabilities are implemented. Individual tabs are assigned for project information (including basic information, borings and samples) and tests. 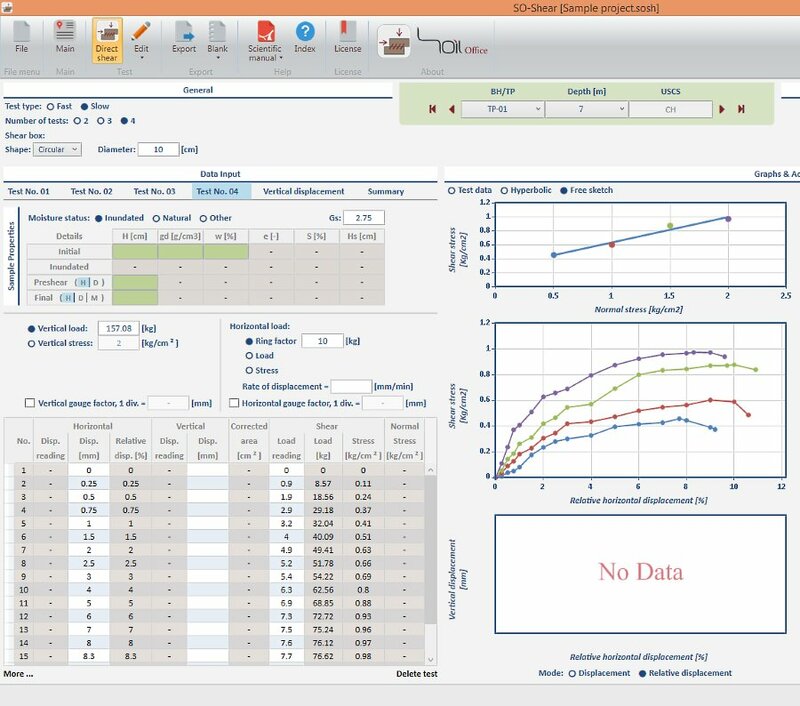 In addition to test data and corresponding calculations, software outputs are available in 12 formats. Note that direct shear tests could randomly be generated based on user-defined criteria. User is informed about the common ranges regarding input parameters. 12 templates are available for the export of software outputs. Test data and corresponding calculations are presented in a separate format. Blank laboratory data sheets may be used for test data input. Saving files with a minimal size. Sample properties are automatically calculated. Area correction can be applied. 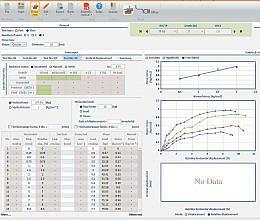 Test data can be edited using either graphs or tables. * SO-Shear download link provides demo version of the software. Calculates shear capacity and confinement reinforcement of circular and oblong shape reinforced concrete columns. BoltGroup computes shear capacity of an eccentrically loaded bolted connection using LRFD instantaneous center of rotation method. Implements AISC LRFD method to calculate capacity of weld group under combined action of eccentrically applied in-plane and normal forces. No one has rated SO-Shear yet. Be the first to rate this product.